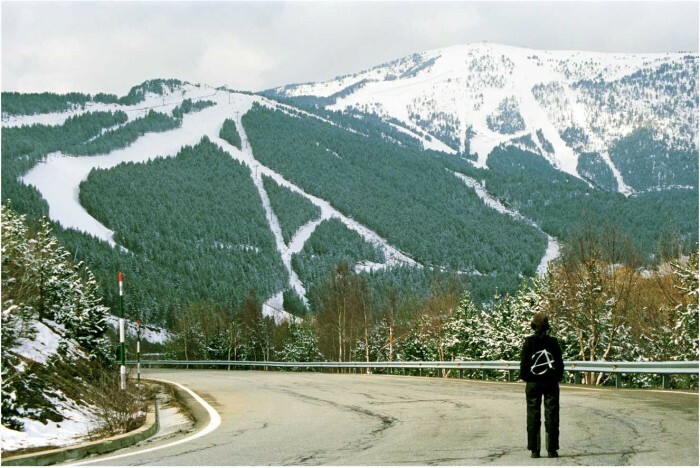 Anarchy : MARCELA MORAGA M.
I was working during a winter season in Andorra, there I found this snowed mountain where due to ski tracks and the mountain’s forest was formed the anarchy logo. I decided to look at this mountain wearing a T-shirt that has an anarchy logo on it. Action Art documented on Picture. Andorra, Spain. 2004.